Trouble-free performance is at the heart of the Epson EMP-6100. Developed in response to demanding business needs, it’s durable and easy to maintain. Position it where you like - built-in anti-theft features, including Pin-Code on start-up, give you peace of mind. You can achieve clear, sharp presentations in daylight or even dusty rooms. 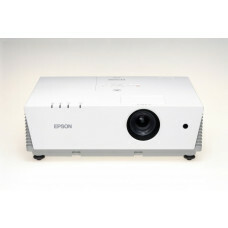 And with Epson’s latest Network Monitoring Technology you can manage your projector easily over your network.